Opens in 23 h 40 min. The Bank of America Charlotte in Charlotte is just one of the many branches of the bank that look after the clients' interest. 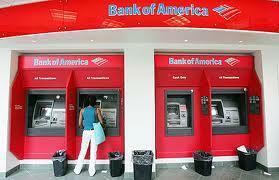 Whether in need for a small business financing or just trying to get a loan, Bank of America Charlotte can help. Among the services offered the clients can access are: wealth management, retirement planning, mortgage loans, student banking, life insurance, and many more that make life easier for every client. Insurance services offered by Bank of America are the best. This bank has a great tradition and that is important, right?